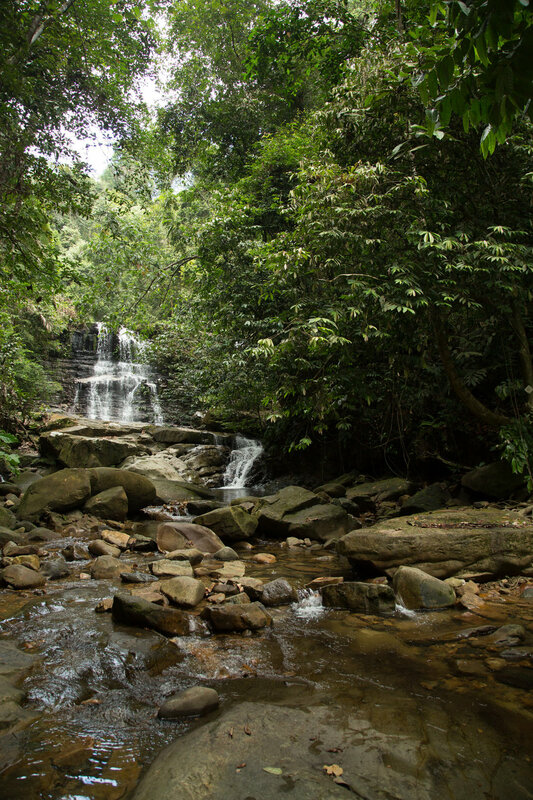 The jungle Borneo is extremely dense, hot and humid, with only a few anomalous sun rays making it to the ground. These conditions are great for the natural recyclers and insects. Carnivorous plants can be found in less dense areas. A proboscis monkey leaps between trees in the canopy. A long-tailed macaque sits on the roots of a tree after savaging on the ground. An orangutang does some much needed maintenance to her nest. 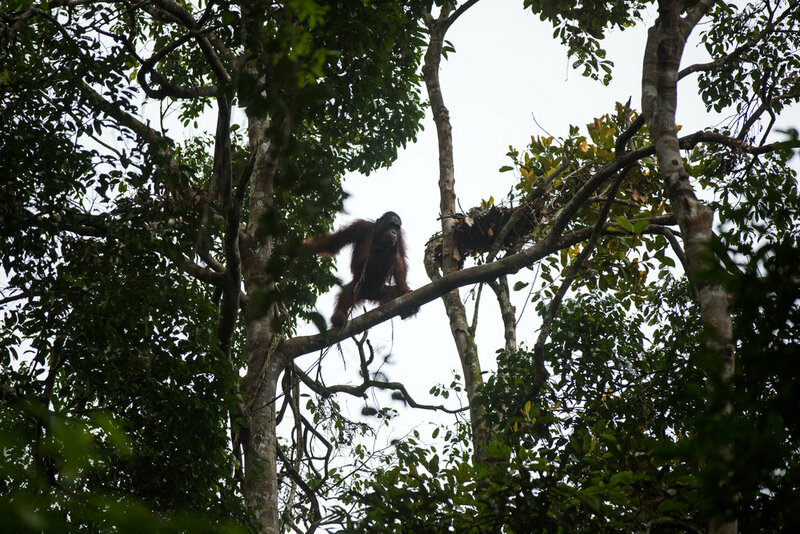 The size of orangutangs means that they slowly move from tree to tree via their long reach and use their weight to bend weaker trunks and branches to form unstable bridges. ... and with water comes more life. Rocky summits poke their heads through the low cloud. The hills are strewn with caves. 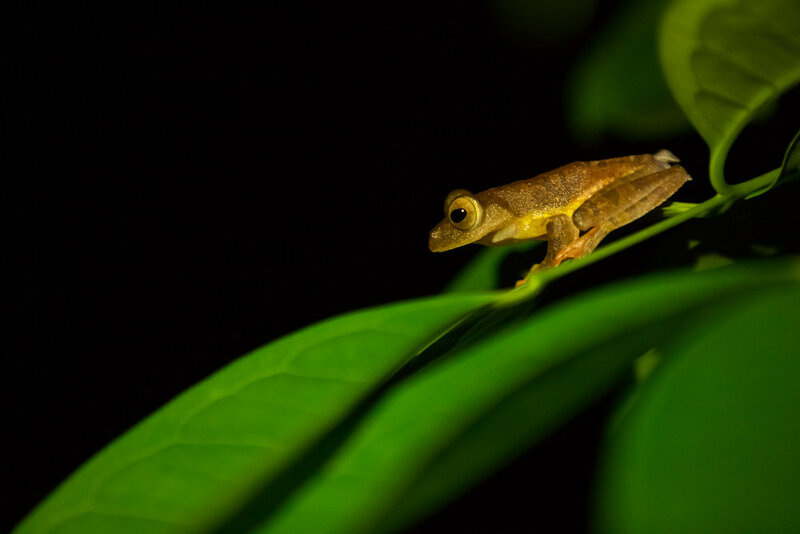 On the coast, where jungle and sea meet, the mangroves and salt waters harbour it's own wildlife. Irrawaddy dolphins likes shallow waters, so are always seen close to shoe. 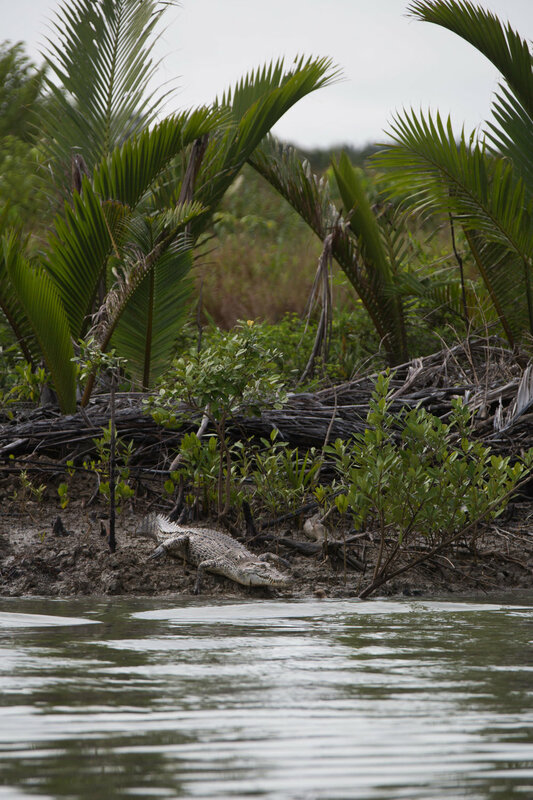 This also means that they venture into the mangrove lined rivers in Sarawak. Grabs and mud skippers lines the tidal shores of the rivers. And like always, rivers are the roads of the past, and are home to old communitities.